Friendly & responsible animal lovers with a passion for travel! Hi! My name is Emma. 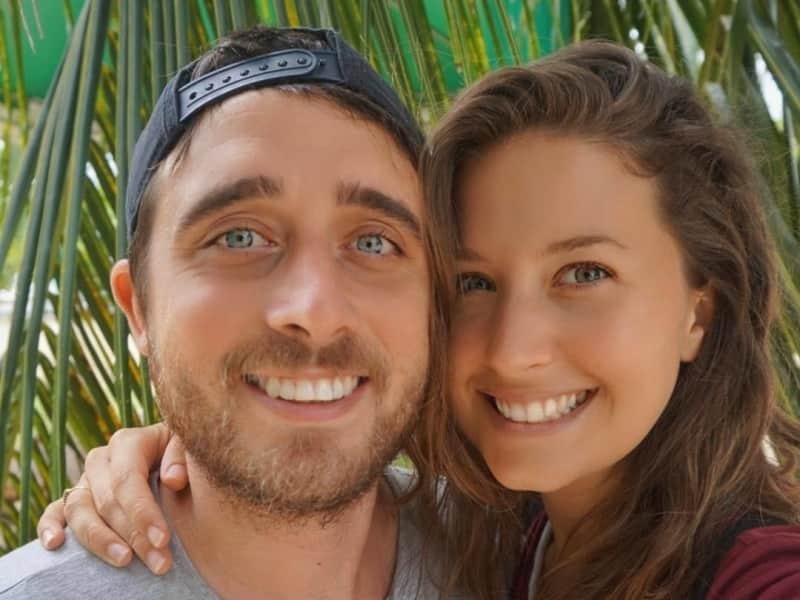 My partner, Alex, and I are freelance English teachers and video makers. 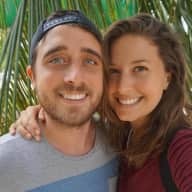 We have a successful YouTube channel where we document our travels and share information on our unique travel/digital nomad lifestyle. We love travel and to get off the usual tourist track when we can! We usually enjoy traveling slowly, spending more than just a couple of days in each place so that we can get some insight into local life and enjoy each place to its fullest. We would describe ourselves as very caring and considerate people, with a keen interest in animals, the environment, filming and travel. We absolutely love nature and wildlife and are huge animal lovers. We have been lucky enough to house sit for friends in a handful of countries. However, we would love to combine our two big loves, travel and animals, in a more full-time capacity. We would absolutely love to have pets of our own, however due to our lifestyle, this is not currently possible. A friend of ours recommended Trustedhousitters, as she is also an animal lover and freelancer and has had many wonderful experiences with this website so far. 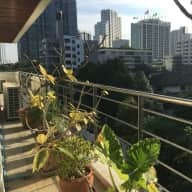 My partner and I have previously helped friends in the past with house sitting in Thailand, Australia and the UK. We are a very friendly, responsible couple and understand the importance of coming back to a clean home after a trip. We also work from our laptops, so we have plenty of flexibility when it comes to caring for pets. 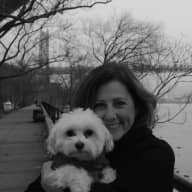 I have been an active member of borrowmydoggy.com, where I volunteered as a dog walker and had many regulars that I loved taking out several times each week. 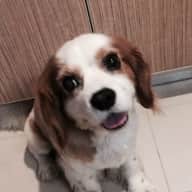 We are relatively new to Trustedhousesitters, however we have already completed two wonderful pet sitting jobs in both Thailand and Singapore and are currently on our third, in Japan. Emma and Alex were absolutely delightful! My plans changed, and they were super flexible. When I came home, my house was clean and my Misha was extremely happy. She really formed quite a bond with them. Emma was fantastic about messaging me frequently with pictures and updates. They really went above and beyond- even brushing her teeth which is a challenge for me! Emma and Alex are a fabulous, brave and interesting young couple. 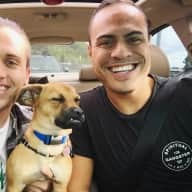 Not only did I trust them implicitly and feel safe with them in my home and caring for my baby, but I also enjoyed spending time with them and hearing about their lives when I returned. I would have them back in a heartbeat and give them my highest recommendation. Emma and Alex are a lovely, caring couple who I'd recommend in an instant to look after your home and fur babies. They came to look after my senior Cavalier King Charles Spaniel while I was away on a work trip in June. They took great care of him, administered his eyedrops and medication as requested, and pro-actively sent me photo updates. My dog was immediately relaxed around them, which is always a great sign and I felt very relaxed about leaving him knowing he would be in safe hands. They left the apartment in immaculate condition and I'm looking forward to them coming back to sit for me in September! Emma and her boyfriend Sam were SUCH great sitters for us while we went away for a long weekend. They were so friendly from the first interaction, all the way through to the end. They were super flexible and accommodating to our schedule and needs, even when we decided to extend our trip by one night! They truly went above and beyond the expectation. They sent us daily updates on our pup, Cooper, and were not afraid to ask questions. When we arrived home, the house was spotless and clean, they even washed their own bedding and put it back on the bed before departure. We didn't have to do any work after arriving home, which felt SO comforting. Emma made sure the floors were swept, because Cooper sheds a lot! I would highly recommend these two for any amount of time away! I never once worried because I knew Cooper was in good hands! I would invite them back in a heartbeat if we were to need a sitter again! Thank again, SO MUCH! Emma was a lodger at my home in England for just over two years. She is a lovely, caring and responsible person who was always very respectful of our home. We travel a lot and could always rely on Emma that we would have a clean and tidy home to return to. I know she really loves animals and am certain she would make a perfect home and pet sitter.